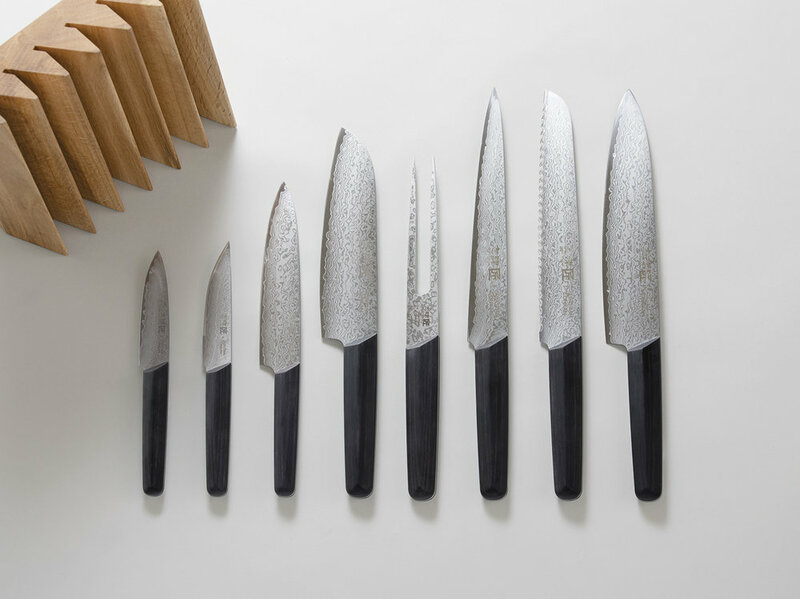 Japanese knives are prized by top chefs across the world and this collection is produced in the world-renowned Seki Region of Gifu. 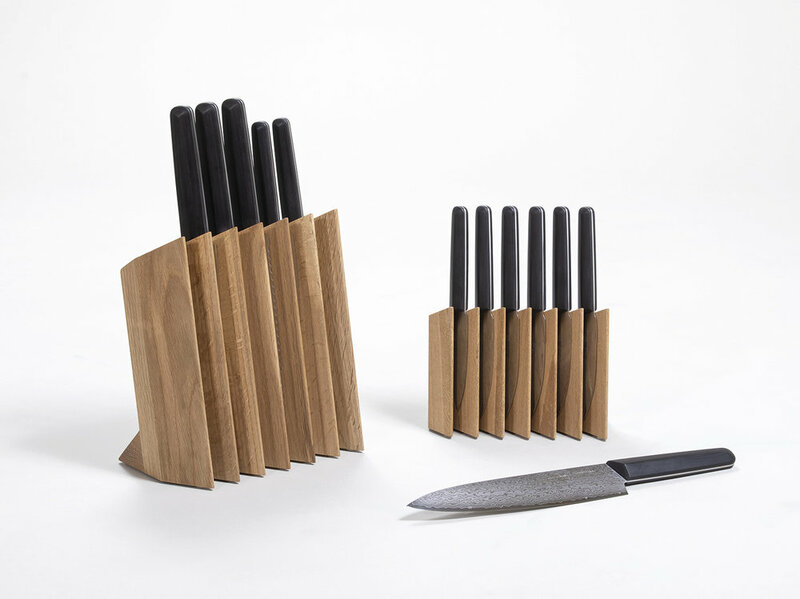 The blades are constructed from premium Damascus steel which is high in both strength and corrosion resistance, whilst the handles are carved from hardwood and feature a faceted ergonomic angled profile, inspired by the folded paper forms of origami. Shizu Hamono manufactures and retails kitchenware, fishing tools, work tools for bicycles and more. In addition to traditional cutlery, the company has taken on the challenge to launch into new areas such as bicycle parts production using its own technical strength. 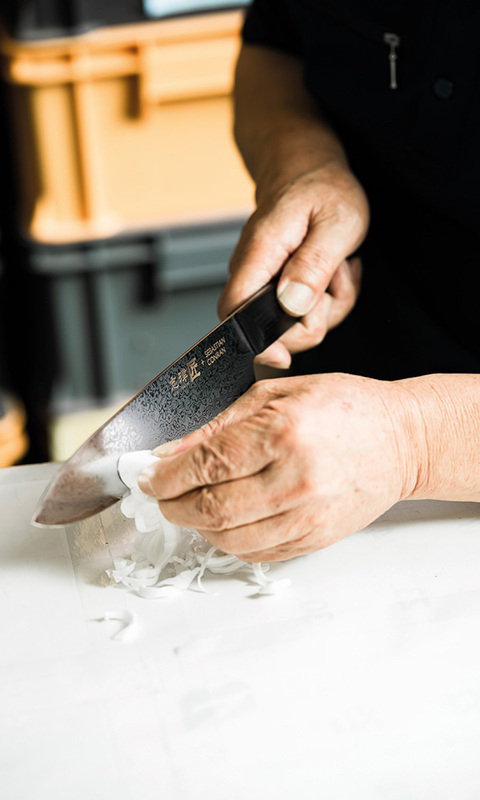 The craftsmen of Seki are able to create unique blades of exceptional quality in accordance with Shizu Hamono’s high standards. Numerous products that incorporate contemporary trends with traditional craftsmanship is a notable strength of Shizu Hamono, as well as taking great pride and confidence in the quality of their products.